(Excluding Wedding Cakes) 3 Layers with choice of filling. 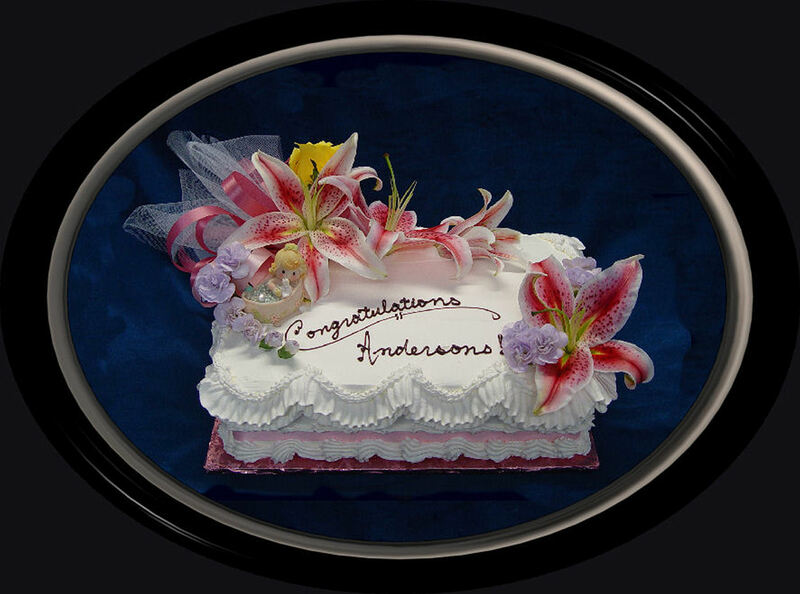 Our cakes are decorated with ribbons, fresh flowers and inscription. Custom decorating (additional charge) is welcome! Call us for a quote, regarding wedding cake prices (starting at $3.50/ serving). All cake prices are subject to change, without prior notice.